Congratulations on the pregnancy! I actually did not know, I remember you posted that you were trying and figured the decrease in running was because sometimes ladies have to do that to get pregnant. But I didn't know you were, so congrats! I love the race hoodie and the theme of it... you had a good week of training for it with some runs and also what looks like nice weather. 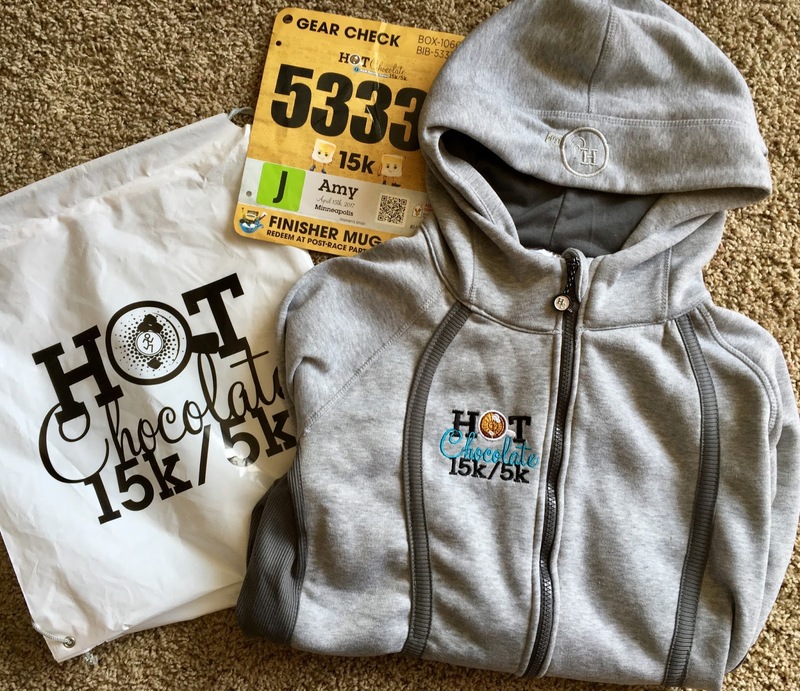 This seems like a great race to run for fun and enjoyment anyway with the hot chocolate stations :). What I didn't know either!!! I wish more races would consider mailing packets for those of us who can't get there the day before, or in my case early enough. I've always wanted to do a hot chocolate run. One day I'm gonna get too! Yeah I picked up on all the subtle hunts 🙂Congrats on baby #3! !🤗🤗 You've been doing a great job keeping up with your running despite the first trimester blah feelings. I hope you have a great race, enjoy all the chocolates and just enjoy running for the sake of it. It was very cool you were able to get your packet mailed to you btw!! Love the hoodie too!! Congratulations!!! Wow, what wonderful news! And what a great way to do a race - having fun, encouraging others and eating marshmallows and chocolates!